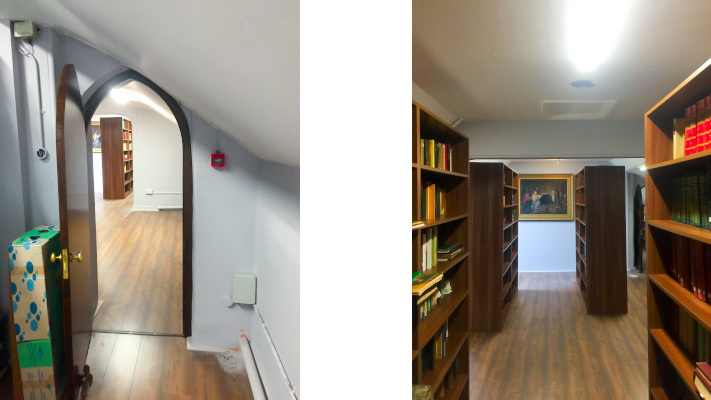 In this project we took a redundant attic space and converted into a Library and Archive to store and use the thousands of books belonging to the historic St. Kieran’s College. The area required a complete strip out and some remedial works to both the structure and the services. 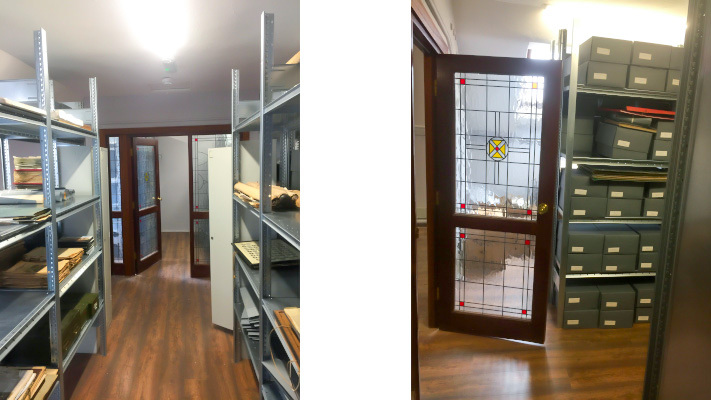 The layout was modestly revised with the installation of new joinery, doors and screens which matched those already in the building for over 200 years. A new timber floor was installed. 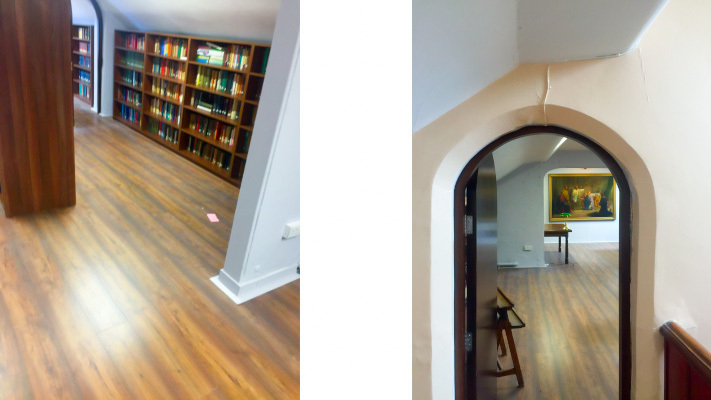 Design, manufacture and installation of new bookshelves. 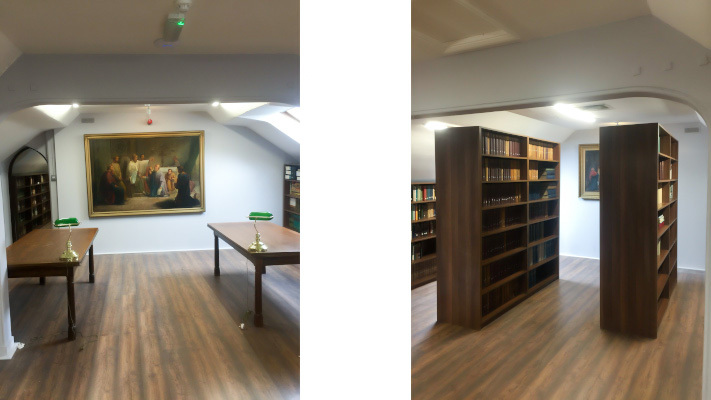 Refurbishment of a redundant attic space and conversion into a library and archive to store thousands of books belonging to the historic St. Kieran’s College. Richard McEvoy Contracting Ltd. © 2019 - All Rights Reserved.